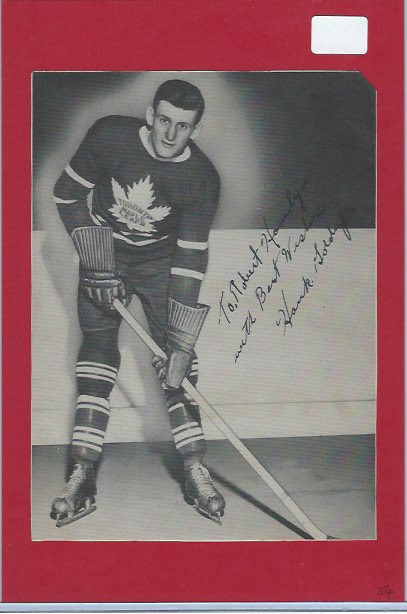 Hank Goldup Toronto Maple Leafs autograph done on 1939-40 OPC card that was transferred onto red backing. This is not a Beehive. 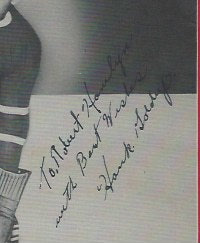 "To Robert Hamlyn with Best Wishes, Hank Goldup."